The event was quite a few months ago now, so please accept my apologies for forgetting that I hadn’t published this article, which was written soon after I attended. 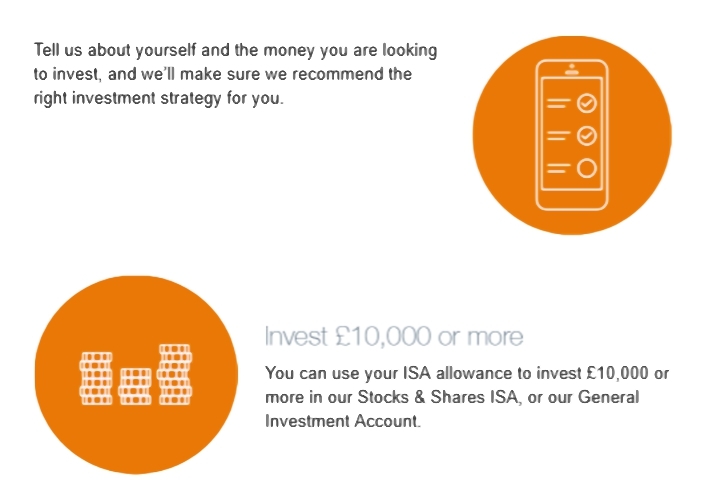 Investec Wealth & Investment offers wealth management and investment services to private individuals, charities, trusts, international clients and financial advisers. IW&I manage £32.4 bn in the UK and has 15 offices across the country. I didn’t know too much about them, but the psychology of investment is one of my pet topics. So when I was invited to what I thought was just a focus group about attitudes to risk and towards investment in general, I was delighted to accept. You need a minimum of £10K. It’s an ISA product using actively managed funds (there’s a taxable account available, too). 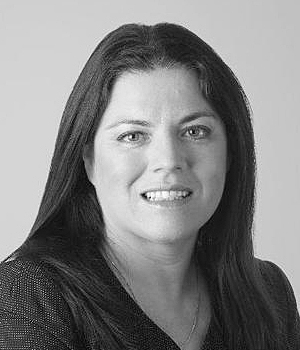 A team of dedicated Investment Managers, supported by an in-house Research Team will create and manage an investment portfolio on behalf of investors, which is specific to them and their investment goals. 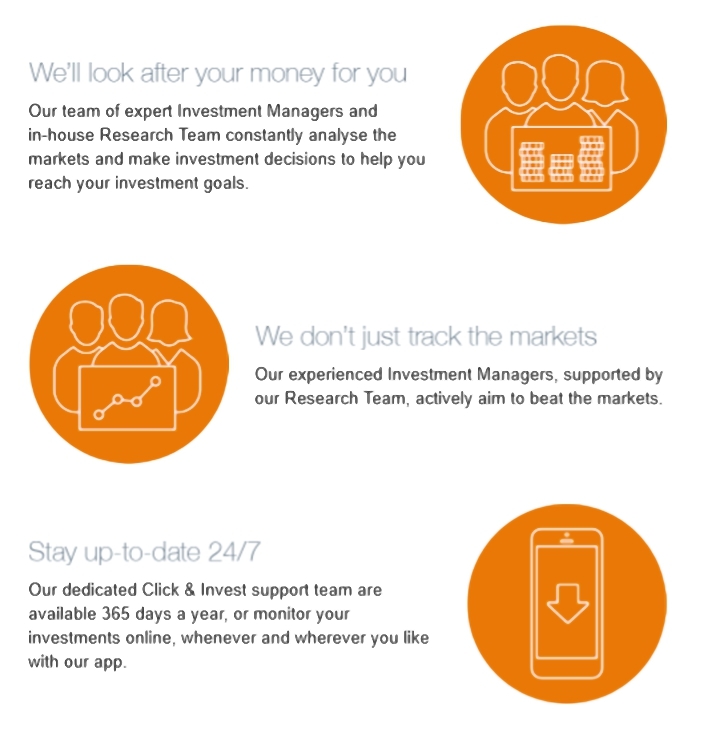 These teams constantly analyse the markets to make investment decisions, and select the best funds from the whole of the investment market with the aim of outperforming the market to deliver returns for clients. Click & Invest qualifies as a Robo Adviser, so I’ll look at the details of the product (including its costs) in a future roundup. Today we’ll focus on the psychological side of the evening, which was more fun than I expected. Around eight money bloggers had been invited, so it’s possible you might see another post about this event. As well as the focus group,3 we each filled in a risk questionnaire, and then had a 1:1 session with a psychologist. 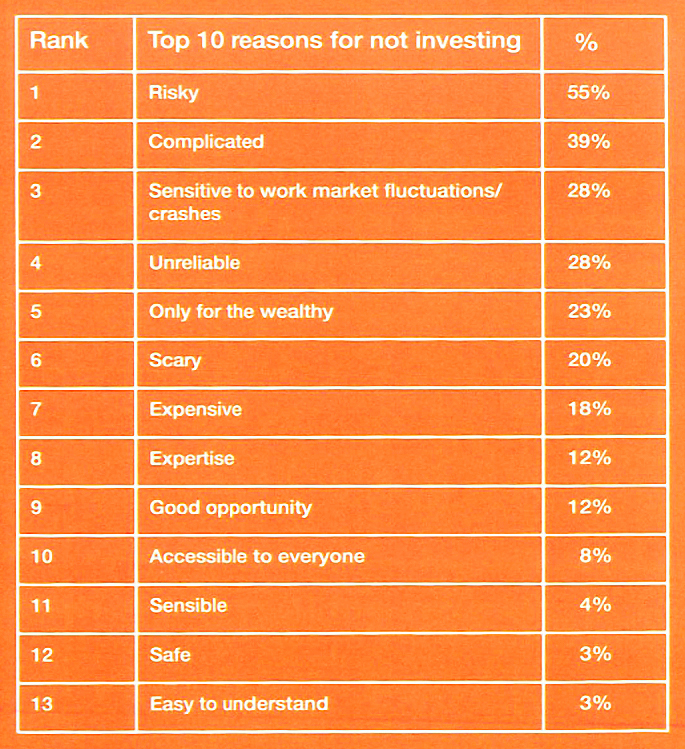 Investec has also carried out a survey of investor attitudes, and that’s where we’ll start. 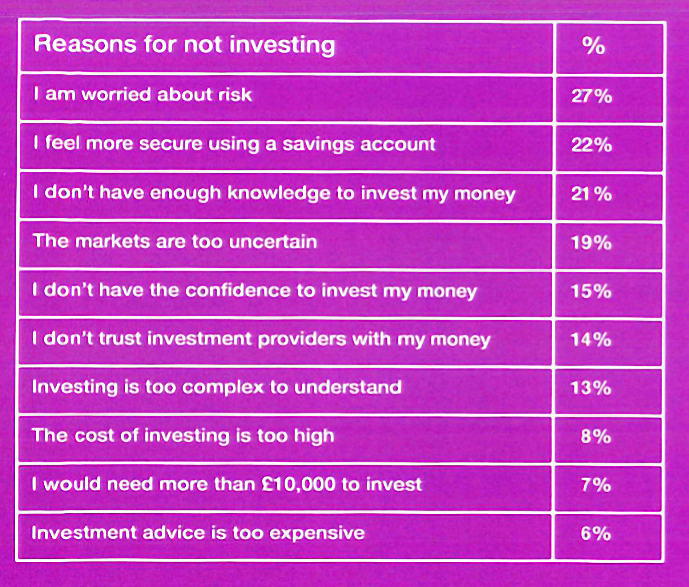 Some of those polled were investors, and others were savers, but they all had £10K to their name. People prefer cash (36%) to stocks or funds (8%). 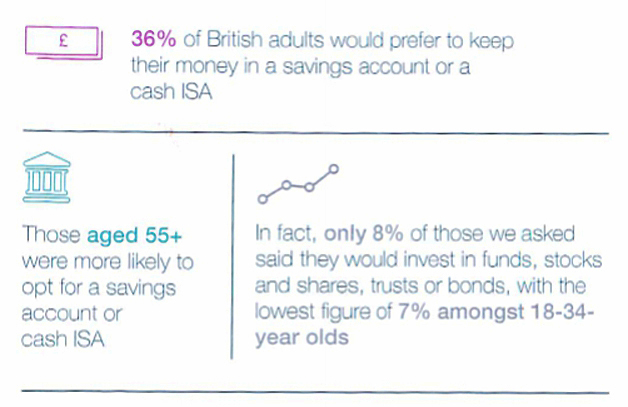 Only 21% had saved money into a pension. More people like property (10%) than stocks. Buying a first property was seen as the financial risk that had the most positive impact on people’s lives. Older and younger people are slightly more risk averse (in terms or their choices) than those in the middle. Younger people “talk the talk” of being more comfortable with risk, but don’t “walk the walk”. Women are more risk averse than men. Despite the discomfort over risk, 30% of people regret taking too few risks in their lives. This was particularly true of young people. 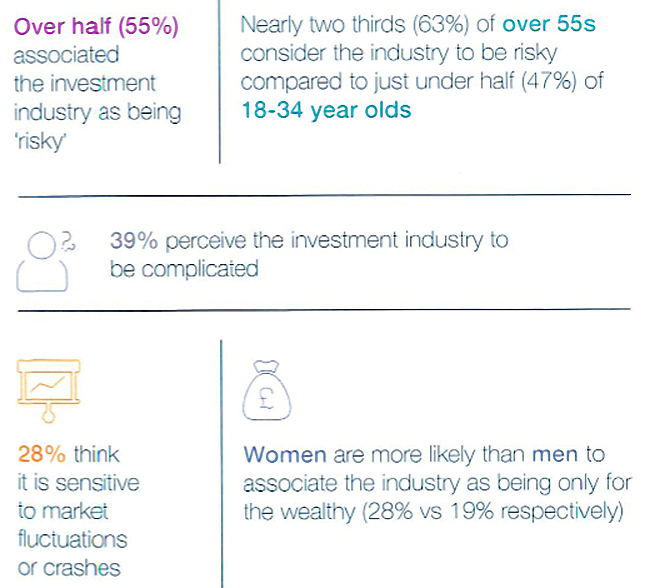 The investment industry is seen as complicated and risky, and is seen by many (especially women) as being only for the wealthy. 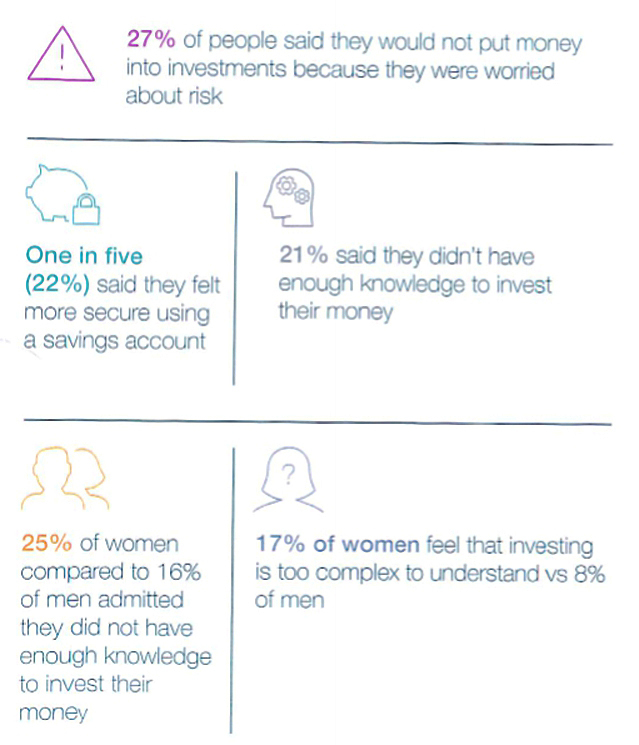 Another key obstacle to investment was a lack of knowledge. More women raised this point than men. Taking risks, particularly when it involves making big financial decisions can be really intimidating. But what our research has shown is that “taking the leap” to invest can pay dividends. Especially when it comes to achieving some of those key goals in life such as getting on the housing ladder and making provisions for the future. At Click & Invest we believe more needs to be done to educate potential investors about the benefits of investing so that it doesn’t always feel like a giant leap and is an educated decision. 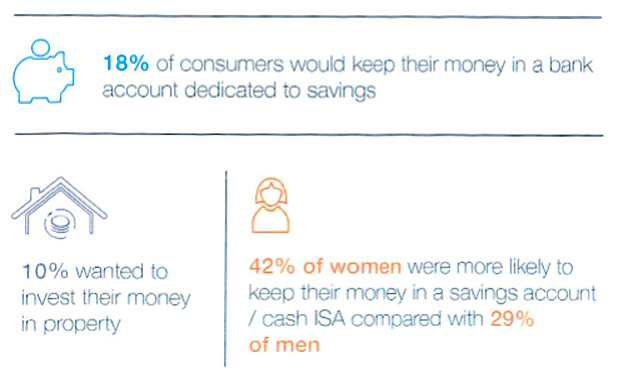 We are passionate about empowering people to make these decisions and to begin improving their financial futures. Humans are naturally ‘cautious’. It is hard-wired into our psyche, as part of ‘Evolutionary Psychology’, to do everything we can to survive. However, we are also naturally curious, and only really grow through taking risks. Some individuals (usually more introverted), are inclined to be ‘risk averse’; while, more extraverted people are often more adventurous. Finding a balance, and branching out, even taking risks, is what keeps us alive and moving forwards, as a species. Men have tended to be more confident about taking risks, as, on an Evolutionary Psychological level, they have had to go off into the wild and tame or hunt beasts. Historically, women have tended to be more cautious, due to their role in procreation and home-making. However, in the modern world these roles are evolving and women are taking more risks than ever before. History is not destiny, and neither is biology. Age, gender, marital status, number of children, ethnicity, religion. Social class when born and now. Place of birth and place you live now. There’s a bit of a “journey” theme emerging here. 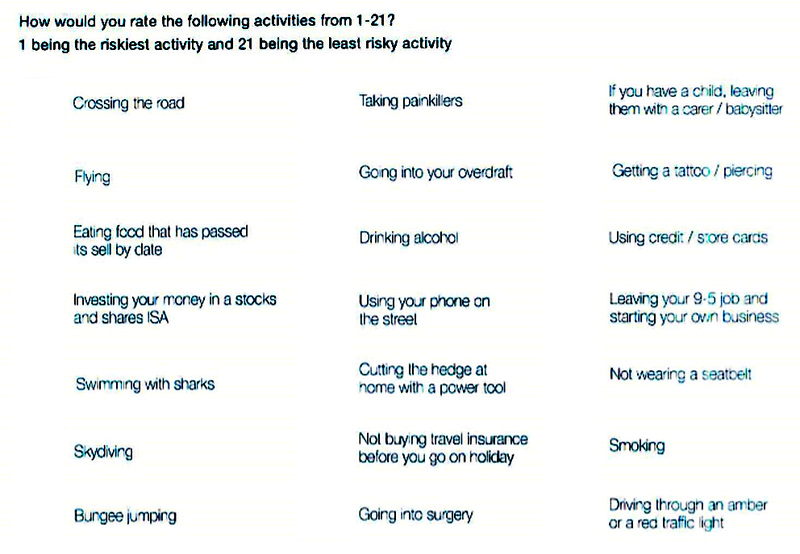 your attitude to risks of all sorts (I chose level two from five, though I know that other people see me as more risk-taking than that). As I’m fairly old, I was able to tick the majority of the boxes. The point here was that mundane things (crossing a road, not wearing a seatbelt) are much riskier than people think. do you wait for a very good price to appear? do you seek information from people, or online? are you assertive enough to question overcharging in a restaurant? can you put up with using a launderette while you research a replacement washing machine? The next section was about where you source financial advice (easy for a money blogger) and how you developed your financial habits (from my family, and then my career). Then we were asked again to rate our risk appetite from one to five. This time I chose 4 out of 5 rather than 2 out of five. I can only put this down to the wording of the options (the framing). I would never describe myself as “defensive”, “cautious” or “measured”. Finally I had earned my 15 minutes with the psychologist. High risk-taking skills based on experience, knowledge and learning. Sophisticated executive function ( research, planning and analysis) but also impulsive and spontaneous. 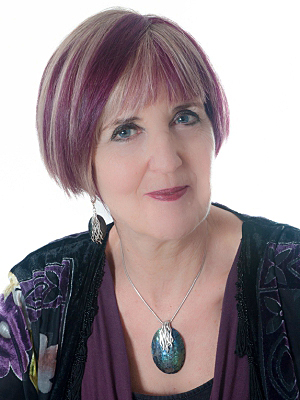 Extraversion balancing introversion – a good recipe for success. Now of course it’s possible that Corrine was as nice to all of the participants, but I will cling to the idea that she wasn’t. After a jolly evening, we’re left with the sad lesson that not enough people in the UK will take risks with their finances. I applaud Investec’s efforts to educate their potential customers, but I think the problem starts much earlier. We need schools to educate everyone about the need to save for retirement and the dangers of preferring cash and property to stocks. Yes, the industry needs to come up with cheaper and simpler products for novice investors (and yes I’m mostly disappointed with the robo advisor offerings to date). But unless people are looking for them in the first place, not much will change. Auto-enrolment is a great opportunity to educate workers, but even there we are being economical with the truth. Contributions have just reached 5% of salary, and there are no plans to increase them beyond 8% pa.
That just isn’t enough, and we should be telling everyone that they need to save more. And that they need to put a serious proportion of it into the stock market.